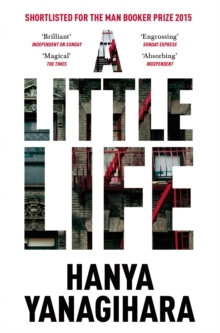 Staff Recommendation: A Little Life begins as a story about four boys who become best friends in college in Massachusetts, and then move to New York to pursue their different careers in which they are all improbably successful. They are Malcolm the architect, JB the artist, Willem the actor and Jude the lawyer. As the book continues we learn about their different backgrounds and families – with the exception of Jude, who won’t talk about his. Jude’s past is doled out in memory flashbacks throughout the book, mingled with present day horrors that are the result of the events of Jude’s first years. Shortlisted for the 2015 Man Booker Prize, this is a moving and gripping read.